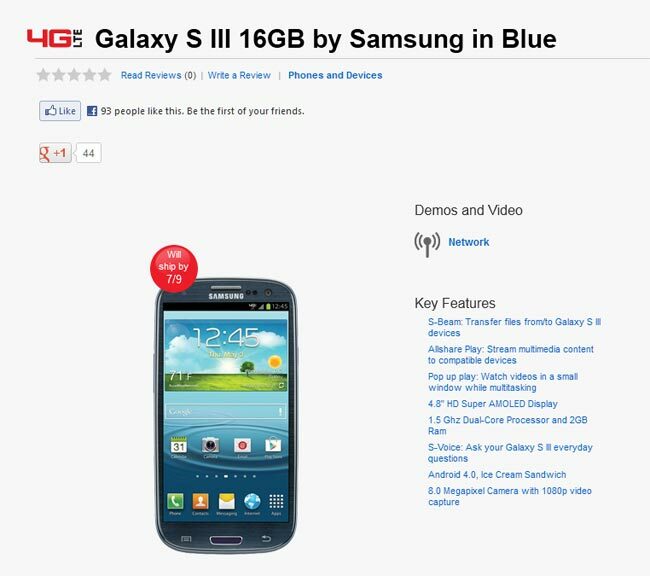 Verizon has recently put the new Samsung Galaxy S III up for pre-order and whilst they have not given an exact launch date, their pre-order page says that the handset will ship by the 9th of July. So whilst we don’t have an exact launch date for the new Samsung Galaxy S III on Verizon, we do know that the latest the handset will be available will be the 9th of July 2012. The Samsung Galaxy S III is now available to pre-order for $199.99 when you sign up to a new two year contract with Verizon Wireless, they will also offer the device without a contract for $599.99.